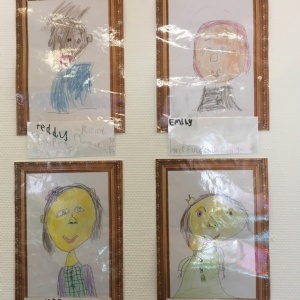 Year One create portraits - with adjectives! In Year One we started the academic year deciding what we want to put up on our walls. 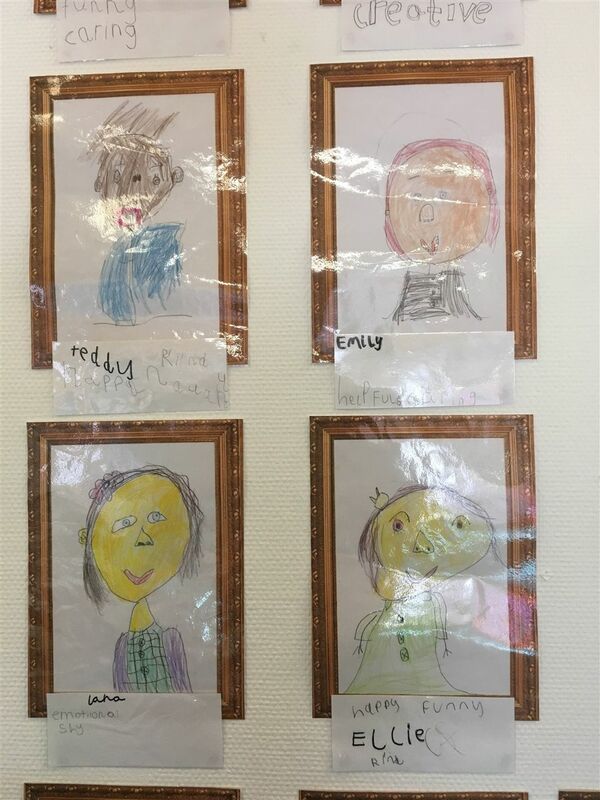 We agreed to draw portraits of ourselves and put them on the art gallery area. This will help us introduce ourselves to one another and set the stage for a place of learning that values everyone’s individuality. 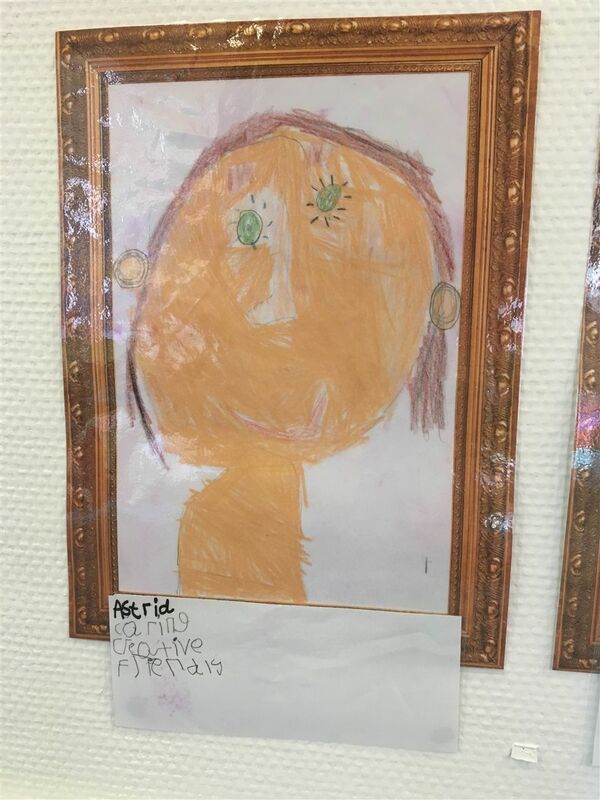 A list of adjectives that defines each child's personality underlines each portrait. 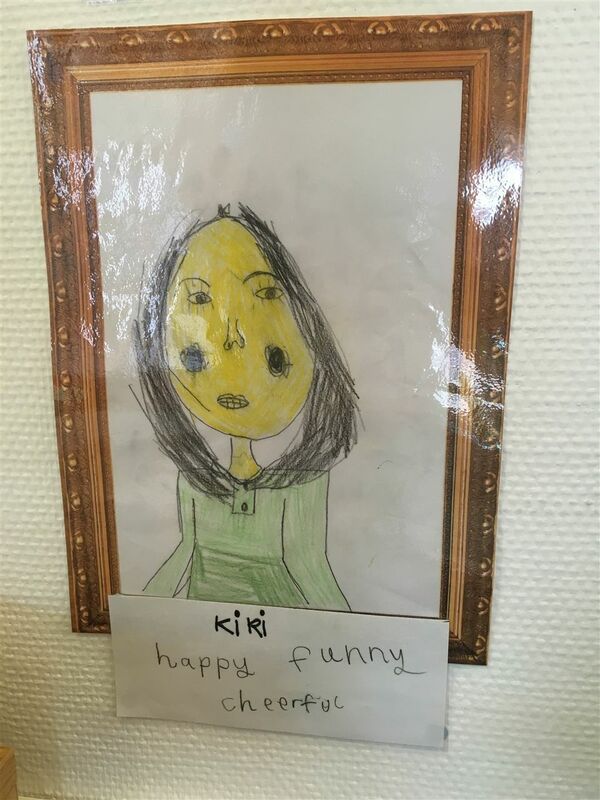 Each of the pupils defined themselves with a few adjectives and wrote it on a caption under their own portrait. At the end of the year we will look at the adjectives again to see if those adjectives have changed: Do we change our character/personality over time? As a teacher I would like to observe how those adjectives change and grow as the students do. You are invited to come to our learning space and look at them to know a bit more about us.